When I share with non-lawyers at a cocktail party what I do for a living, their response is often “Oh, like a private judge!” I usually mumble, “Yes, sort of” but the better answer is “Not really, not at all.” The distinction is particularly evident in the technology sector. Here’s why. Judges are appointed (or, in some states, elected) government officials. Although they are politically appointed, state and federal judges in the US play a critical role in the Constitutional balance of power in interpreting the law. Judges in the US answer to no one but the law. Judges are experts at court procedure, including prehearing practices and managing a courtroom. Federal District Court judges handle a wide array of general cases, both criminal and civil cases, although, on average, less than 2% of those cases go to trial. Of the small percentage of cases that go to trial, most go to a jury to decide the factual issues. A judge’s decisions are subject to review by appellate courts, although only approximately 10% of all trial cases are appealed (although the percentage of patent case appeals to the Federal Circuit is significantly higher). Some retired judges serve as private judges. When they do, they offer a court proceeding, with all the formalities and procedures of a bench court trial, in a private setting. In contrast, arbitrators are hand-picked by the parties, often based on their legal expertise and industry experience. 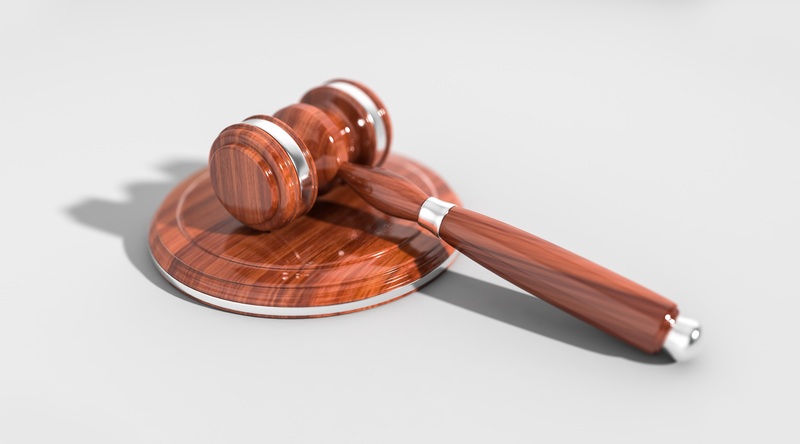 Arbitrators take an oath to be fair and impartial, and apply the law as do judges; however, arbitrators answer first and foremost to the parties and their business needs. Without the strict constraints of court procedures, the arbitral process allows arbitrators to implement innovative solutions proposed by the parties and accommodate the parties and counsel on scheduling and process. Most arbitrators are expert in particular fields of law and have experience in particular business sectors. This is particularly the case in technology-related cases. Although most arbitrators have practiced law as trial lawyers, and they are required to manage the arbitration process, their principal focus is not on court procedure; rather, arbitrators focus their attention to the substantive law and the facts of the dispute. The parties expect the arbitrators to use their legal and industry background to make fair, just and business-practical decisions. As well, arbitrators play an important role in international cases that extend beyond the bounds of a single court system. Although any sound arbitrator will strive to apply the law, arbitrators are principally assessed on the work they do by the parties not the courts. They answer to the legal community and the parties on their performance. Unlike judges, an arbitrator who does a poor job in managing cases and deciding on the law and facts will not get more cases. That said, arbitration practice is governed by statutes, rules and contracts, and arbitrators are answerable to the courts. The courts serve as a gateway on cases that go to arbitration and provide support and oversight of the arbitral process. Because arbitration is based on a contractual arrangement between the parties, arbitral awards are subject to less scrutiny than court decisions that are appealed; however, arbitrators are answerable to the courts for fraud, corruption and other misconduct. Parties who want more certainty that arbitral awards are correct typically require decision-making by a panel of three arbitrators and, in a small number of cases, provide for appeals to an appellate arbitral panel. These procedures can deliver higher quality decision-making than can be provided by a judge and jury. Arbitrators respect the important role of judges in our legal system and most arbitrators do not consider themselves to be private judges. Rather than working for the government, arbitrators work to serve the parties by providing specialized, business practical legal expertise and private decision-making. It’s a critical role in technology-related cases where the parties require legally-sound, business-savvy, speedy and cost-efficient decision-making. It’s also an important role for the legal system: arbitrators help reduce the work-load of the courts so that judges may better address important legal policy matters. In essence, arbitrators are more closely akin to the parties (and their counsel) than judges. Arbitrators are the professional team, hired by both sides to the dispute, to provide a proper, just, fair and practical resolution of a business dispute when negotiation doesn’t work. Far different from the role of a Judge, and way too much to explain to most people at a cocktail party.